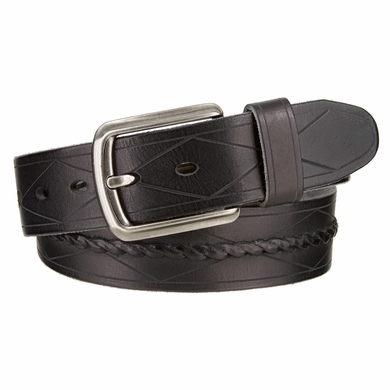 Genuine Italian leather belt with a braided design in the middle and some lines with the shape of a diamond. 5 oval holes for a better fit and a matching loop. It comes in different sizes from 32 to 46 and in three different colors such as black, brown and tan.